Angela Woodhouse, a coordinator for the Muscatine Mosaic Project, discusses the upcoming art show Tuesday with Kiwanis Club members, from the left, Clair Penner, Steve Ellsworth and Bob Bahn. MUSCATINE, Iowa — A small canvas can make a big impression. 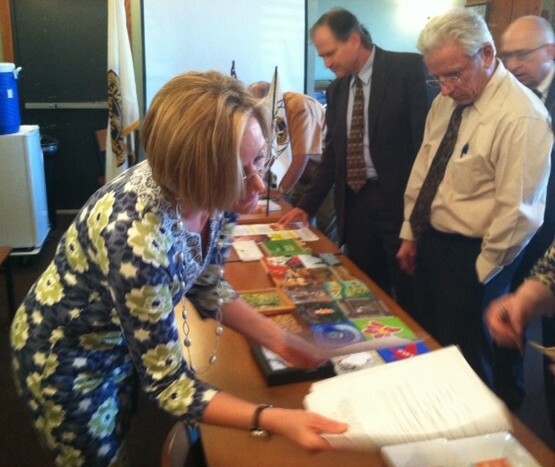 Angela Woodhouse, a coordinator of the 4th Muscatine Mosaic Project, told members of the Kiwanis Club Tuesday about the show, which will be held April 22-May 24 at Musser Public Library. Organizers hope area artists will pay a deposit of $5 per canvas to create their art on up to 300 of the 6-inch-by-6-inch canvases. 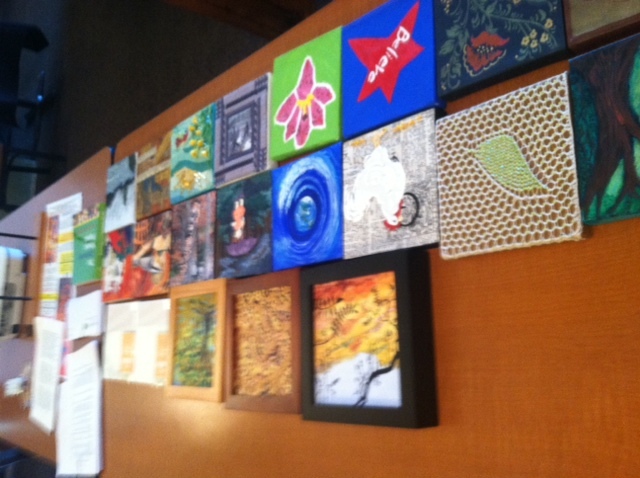 The finished works of art will be exhibited and then sold for $20 each as a fundraiser for the Muscatine County Arts Council. You can check out the council’s website to learn more about the project, which is being held at the library instead of the Muscatine Art Center. The art center is not available this year because of a Civil War exhibit. “The level of talent in our community is absolutely incredible,” Woodhouse said. One of those talented artists lives in my house. It’s not me. Nancy has entered this show every year. 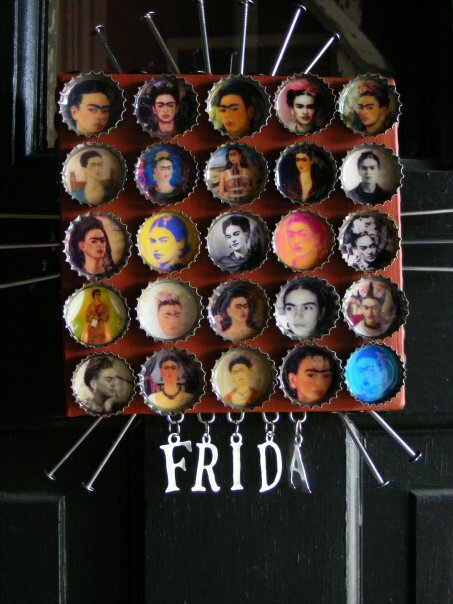 In 2009, she made a Frida Kahlo collage. Barb Christensen, the art center’s director, told me the Frida collage had been a big hit with students on school field trips. At about the same time, I put a picture of the collage on my Facebook page and tagged it so it also would be on Nancy’s page. That prompted a quick response from Paul Carroll of Muscatine, who said it was “hanging proudly in (their) home. “Lori got it in the blind auction at the Art Center and was delighted to get exactly the one she wanted,” he said. If my memory is correct, Larry and Sue Koehrsen of Muscatine also bought one of Nancy’s entries in the show’s second or third year. I bought 2 blank canvases to create on this year with a little help from my friend, L-M elementary art teacher Nancy Foxen. I’m afraid, though, that as an artist…I’m a good musician. If Foxen is helping, you’re in good hands.